One of my intentions with this blog has been to document straightforwardly the process of making something out of New York in Plain Sight, including documenting the process of figuring out what that something might be, though with the understanding that it was going to be aimed at something more akin to sociology than to art or photography per se. And without wanting to conduct the blog in a truly confessional mode, I'd resolved to go ahead and post the ups and downs of the project along with its twists and turns. Reality intrudes, and rather decisively at that …. Since its inception (now over five years ago), New York in Plain Sight / The Manhattan Street Corners has been a self-financed undertaking, i.e., for all practical purposes nobody has been paying for it except me. Not that I am ungrateful to the people who have purchased prints along the way, but sales of prints have covered altogether no more than at most a few percent of the expense of the project. My searches for funders or patrons have come to nought and the reality is that I can no longer afford to go on with it myself. So, pending some marvelously unforeseen positive cash flow, this is the last blog post for the foreseeable future. I'll leave the posts up — do feel free to browse, of course. I'm also suspending any and all plans to continue with cleaning up — to say nothing of extending — New York in Plain Sight itself. By my count there are still just under 200 corners to photograph or rephotograph in order to complete the set. They'll just have to wait. And at some point I'd still love to work up an entirely new site for it with a wide range of search and display options. For the time being though, it has to be put on hold — and I rather imagine that will be a rather lengthy and indefinite hold. So — well, that's it for now. Thanks for dropping in now and then, it's been fun. What can I say? Tired, feeling sorry for myself, and, especially, fed up with rich clients who seem to think it's their privilege not to have to pay their bills in a timely fashion. So this morning I deleted that post. And then immediately I had second thoughts about that too. I mean, if I'm going to document this process in the way I set out to, don't I really have to go ahead with such things? I mean, it would be one thing not to write such a post, or to write it and not post it, and there have indeed been several that have been written but not posted (not all of them whiny, either). A quandary of sorts, which, as you can see, I've resolved, sort of, for the moment at least, via this meta-post. And this morning I'm not feeling as defeated by, well, everything, as I was on Sunday, so maybe this meta-post will serve me as a stimulus to get back in harness and get on with blog proper, to stir the pot some more around all the questions about neighborhoods and their signs of change. More soon, though maybe not right away. This morning, for another project, I was browsing in the marvelous maps available at nyc OASIS and found an overlay of the 1609 Manhattan shoreline from the fabulous Manahatta Project which differs substantially from the shoreline drawn by the Commissioners on their 1807 map. 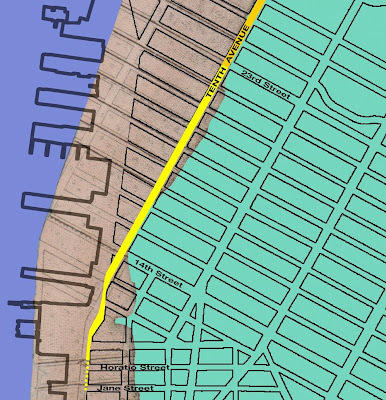 On the Commissioners' map, Tenth Avenue ends at 23rd Street, below which the 1807 shoreline is shown to be east of what a southward continuation of the avenue would be (see above map). Is one right and the other wrong? A simple bias towards current technology inclines me to believe that the Manahatta Project shoreline is correct, and that the Commissioners map shoreline is in error. But the Manahatta Project shoreline is based on the 1782 British Headquarters map, adjusted to identifiable contemporary features with as estimated error of 40 meters or about half a block, which is about the size of the discrepancy between the two shorelines. (This isn't to fault the Manahatta Project in any way: for Manahatta Project's incredible purposes an error factor of only 40 meters is as good as perfect — the error, if indeed there is one, is only relevant to the very modest aims my Tenth Avenue "then & now" project on this blog and even so, it's only the very close proximity of this stretch of Tenth Avenue to the original shoreline — wherever, exactly, it may have been — that makes this of any interest). And did the Commissioners undertake a whole new survey of the island, or did they rely, or how much did they rely, on previous cartographers' efforts, e.g., the 1872 map or derivatives of it? And similarly with Vielé's map — although it represents a new survey of the island, its showing of the original shoreline, pre-landfills, must be derived from earlier, namely pre-landfill sources. 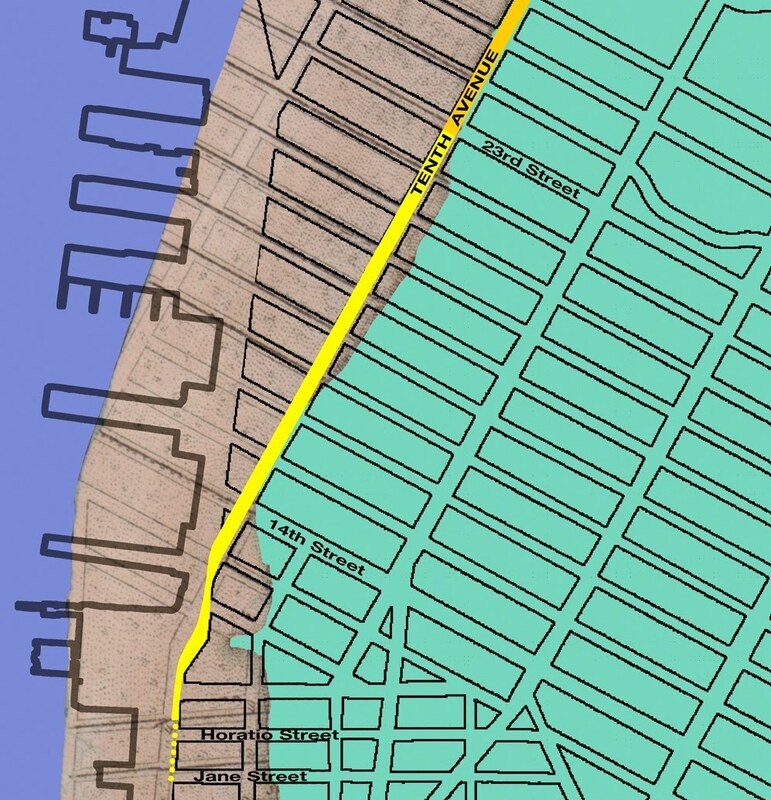 One might say, in favor the Commissioners, that it is unlikely that they would have stopped Tenth Avenue at 23rd Street if the actual shoreline would have permitted its extension down to 13th Street or even lower. 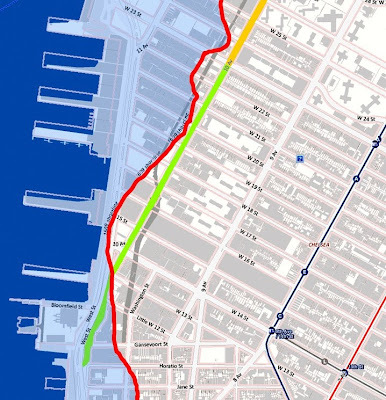 It's possible of course that the Commissioners' shoreline was wrong and that, therefore, their plan for Tenth Avenue was wrong also, insofar as in that case it could have, even then, been extended below 23rd Street. But how likely is this? Even without sophisticated high tech measuring devices, the distance from a known point to the shore could be established to within an inch or so even in 1807. This argument seems compelling to me, though I'm no expert. So I'll give the nod to the Commissioners 1807 shoreline (as shown on my first map mash-up), while keeping in mind the possibility of error that arises from the British Headquarters / Manhatta shoreline (second map). In the middle of muddling through the immediately preceding post (see below) I got a phone call from my photographer friend Becket Logan and we ended up talking at some length about the subject of what makes a neighborhood. He's bright guy, and I think a few of his observations are worth putting on the table, that is, are worth posting on the blog, so here goes. In line with what I had to say about neighborhoods and neighbors, he said that for him, for his neighborhood, what it amounted to were his neighbors in the sense of the people he saw again and again and recognized and said hello or waived to on the street near him or in the nearby shops where he made his "daily rounds" — the corner grocery, the hardware store, the drugstore, the bank, and so on. The same people he'd been seeing again and again for years on end, in some cases for decades. And each of those people had a similar set of relationships that constituted their immediate, individual neighborhood, in turn, some of them also shared with Becket, and some not. And each of those in turn another set of individual neighborhoods. Plus the individual neighborhoods of all the people who live or work in close proximity to Becket's individual neighborhood but who aren't recognizably, explicitly, so to speak, by him, as a part of his. And their individual neighborhoods again, in turn. Very much, I think, on a close, a micro scale, Simmel's Kreisung sozialer Kreise — "intersecting social circles" — but at the same time, much looser than what I remember of Simmel's concept. And yet woven closely enough together to be recognizable as a kind of higher level entity, a cluster with some however ill-defined and permeable boundaries, that seen or felt to be distinct from another such cluster that may be centered even only a few blocks further away. For instance, what the cluster in what Becket calls his "campus" up by his studio on 20th Street, a few blocks to the west (but no further than Sixth Avenue), to the north (but 22nd Street is almost the limit), and south (but not below 18th Street), the area where the professional services are concentrated — the "photography district" — and of course the coffee shops, delis, Fedex's, copy shops, and whatnot that go along with any such area. But not to the east, where Park Avenue represents a very big divide, a strong boundary: once you cross Park, you're in a different world, the world that culminates in Gramercy Park and environments, and then dissipates again east of, say, Second Avenue. And north of 22nd or 23rd Street (north of 23rd for sure, I'd say). So two neighborhoods, individual neighborhoods for him: the residential one and the professional one (the "campus"). But very similar in the way in which there's a clustering of relationships, though the "campus" is rather more explicit in this regard, owing to its professional focus. Could we map those? Have people done this already? I don't know. But surely they have. And again, what are the visible signs of these clusters? Or, somewhat more radically, epistemologically speaking, are the signs visible or not only to the extent that one lives or works within a cluster for which they are meaningful? Since starting the Tenth Avenue "then & now" sub-project, it's occurred to me more than once, and keeps on re-occurring to me with ever greater frequency, that we — I don't think it's just me — don't really know much, explicitly, about how people live together, how they generate "collective actions," how, for instance, a phenomenon like "neighborhoods" actually works. That we may not even be at the butterfly collection stage yet, that even the simplest — but there's no such thing — ethnographies are too few and too far between to provide anything much more than an occasional random strobe flash of light on what's happening in society at any level but especially the closest in levels: the street corner, the block, the neighborhood. Not that there aren't great studies, by brilliantly insightful researchers, but that the phenomenon is so vast and so complex and, well, daunting …. Well, it is — as my business friends are wont to say — what it is. But I gotta tell ya, it's humbling. I've been wrestling with this post for several days, undecided about whether to post it or not. And not being able to get on to anything else until I'd decided, one way or t'other. This morning I decided to go ahead with it, if only to get it behind me — I wasn't going to delete the content, so by not posting it, I was leaving the nagging question open … so let's post it and be done with it. It's really just a list, a rather simple list — albeit with Burtonian overtones (I've had a melancholy few days here) — and surely an incomplete one as well. You can skip it if it's just too dumb — but then you can do that with any of these posts, can't you? OK, enough apologies. Here goes: What changes? The shoreline, which gets extended by landfills and piers and jetties (though the latter are less often thought of as shoreline extensions and, technically, possibly even legally, I suppose they are not) and sometimes gets pulled back, when piers or jetties are dismantled or even, sometimes, when landfill is (re)excavated. 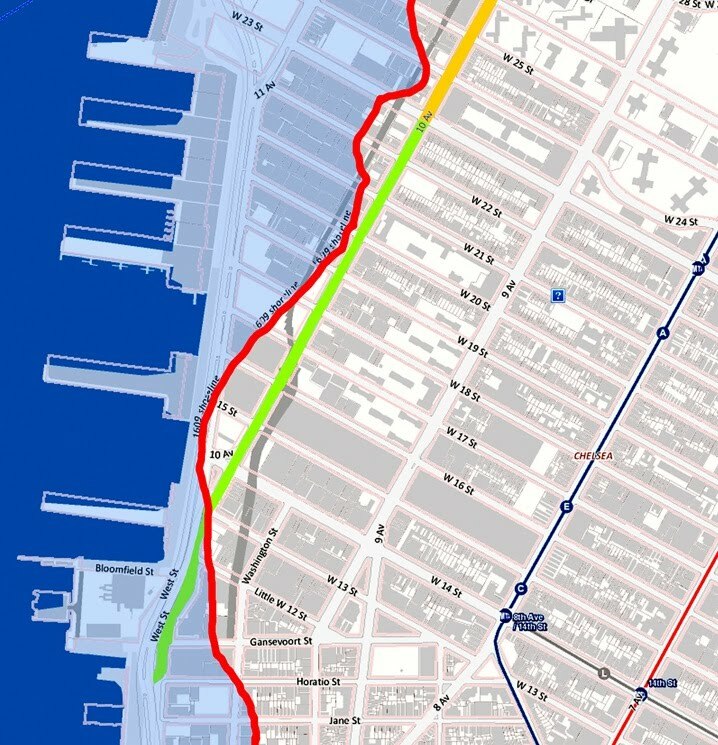 — All of these different kinds of shoreline changes seem to have happened to one extent or another west of Tenth Avenue below 23rd Street since the street plan was first proposed 200+ years ago, and have certainly happened, extensively, elsewhere on the island, especially downtown, of course. The terrain gets levelled, hills cut down, valleys filled. — This too has happened along the lower stretch of Tenth Avenue, and the upper stretches too, and throughout the island as well. New streets are laid out, for instance in Battery Park City and Trump Place in recent years, and existing streets are sometimes closed, particularly to create the "superblocks" that were, and are, characteristic of the big "urban renewal" housing projects; streets are also sometimes just partially closed, e.g., closed to regular traffic, but open to service and emergency vehicles, bicycles, and pedestrians. (I'm not going to include temporary closings for repairs or in connection with construction projects.) — Tenth Avenue below 23rd Street, as already mentioned, and of course the streets west of it, are a prime examples of street plan changes in the area we've been looking at. Bridges and tunnels are built, along with their entrances and exits, and sometimes closed too. Bus depots — just below 42nd Street, Tenth Avenue catches a number of the ramps leading to the Port Authority Bus Terminal. And railroads and their stations: elevated, at street level, subways. And also railroad yards and maintenance facilities. — Both in evidence on Tenth Avenue: the old New York Central yards west of the avenue between 30th Street and 33rd Street; the subway yards and maintenance depot east of the avenue way uptown in Inwood. Oh yes: heliports and ferry terminals. Sidewalks, curbs, wheelchair ramps, paving materials for both streets and sidewalks, the delineation of crosswalks and vehicle lanes (both in general as well as special lanes for buses), parking. And designations of traffic as one way or two way. And also not to forget traffic signage: street name signs, one way and two way traffic signs, other traffic management signs (stop, do not enter, no commercial vehicles, no parking, no standing); traffic lights, informational and directional signs (West Side Highway this way); bus stop markers, bus schedules and routes, subway signs, line and entrance markers. And a whole host of other infrastructure visible on the street, or having visible access from the street: manholes and their covers, sewer grates, fire hydrants, sub-sidewalk ventilation grids, street lights, trash cans, surveillance cameras. To say nothing of trees, planters, gardens, mini-parks, little bits of lawn, "weeds." And the odd bits of street furniture: those colorful plastic boxes for the free newspapers, ads, and so on. And at the other extreme of size: billboards and their support structures (not counting the more recent large scale ads on canvas hung from the sides of buildings that are made possible by the technology of inkjet printing on wide-carriage printers). Or does this category belong under changes to the island itself? Well, somewhere in between, perhaps. In any event, trees, lawns, gardens, plantings, roads, walks, paths, ponds, streams, pools, special facilities like toilets, snack bars, restaurants, zoos, outdoor theaters, boat sheds …. Which get built, demolished, renovated, get facelifts, new paint, tuckpointing and other clean-ups, new window frames, awnings, canopies, doors, window treatments. Businesses, residents, new or not to the neighborhood, the city, time (no cellphone stores opening in the 1870s). 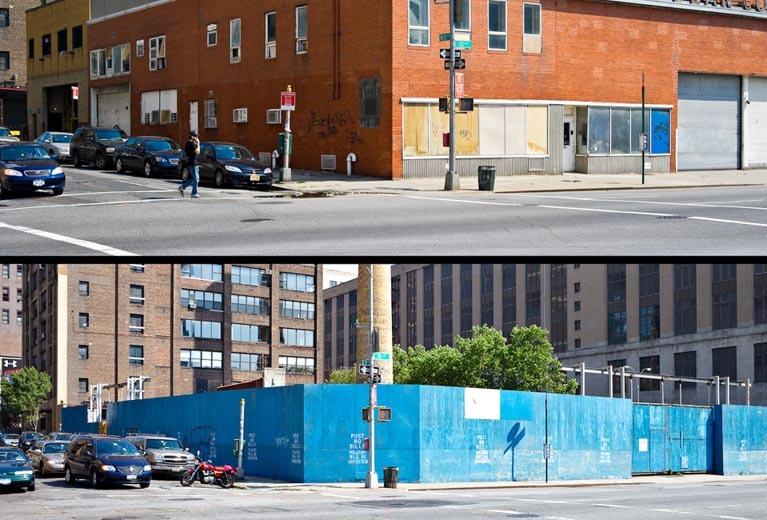 Storefronts are vacated, new tenants move in, the same business or a different business, new owners, same owners, new or different management. And the related property signage: ID signs for businesses, but also for sale, for rent, property owner or manager. And all the stuff of construction: fencing, plywood or chain link, scaffolding, safety netting, cranes both tower and portable, temporary elevators, concrete, plumbing, electrical, glass, and other supplies and related installation equipment. Worthy of a whole study in itself (I mean a sociological study) — surely someone has done it? Trash cans, litter, paper trash including bundled magazines, newspapers, books; also recyclables, but also discarded furnishings, rugs, chairs, sofas, chests of drawers, beds, mattresses, tables, lamps, appliances, decorations (posters, prints, paintings, photos — I once bought one of my own paintings from a street vendor who had retrieved it from the trash where I thought it belonged — paid too much for it too), clothing of all kinds, bedding, pots and pans, dishes, cutlery, mirrors, garbage in the sense of discarded food, bottles — the list seems endless. But this is a whole post unto itself, and no doubt more than one, many more than one. As is this one, the changes in what one sees depending on time of day: it's a very different city early in the morning, in the AM rush hour, at midday, in the PM rush hour, in the evening, the late evening, the wee hours. To say nothing of the seasons — and the weather: rain, sun, snow, hot, cold: you don't see them, but you see their signs: overcoats, shorts, steamy breath, umbrellas …. — OK, yes, trivial, everybody knows this, whether they know it or not. But — and this is the impossible assertion — all this and more is constitutive of the visual experience of the city, and in many ways, directly and indirectly, all these things, which are things that, like all things, either change or don't, or, to be more precise, change at different rates and at different times, with different degrees of consequence for everything else (also changing …). Sometimes, for me at least, lists like this are helpful, not as "checklists" per se — is everything really covered? no, of course not, why else all those "and not to forget's?" — but on the one hand to begin to take the measure of a problem, and on the other to jostle the mind just by bringing so much to the foreground or surface, if only for a moment, in a simple list. I prefaced yesterday’s post on “Tenth Avenue: signs of change below 14th Street” with a brief potted history of this part of the street — actually “potted history” is too generous a term: “crude mash-up of mostly Wikipedia entries” would be more like it, though I’d like to believe that the entries I drew from are reasonably accurate (but I can’t say that I know that they are). I did this out of the belief that the historical context is meaningful for understanding the changes I’m looking at — or, for that matter, for understanding any changes anywhere. 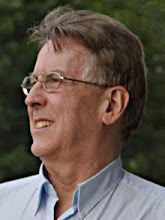 But aside from the questions of whether my sources are as reliable as I’d like them to be, and whether my reading of them hasn’t introduced errors of its own, there is another question, perhaps more relevant to the enterprise of reading and understanding the signs of change from a sociological perspective (however informally). That is the question of how much of this history, or even more of it, would be known to someone — anyone — who might happen to walk these few blocks south from 14th Street intending, say, to cross over West Street into the new Hudson River Park at West 11th Street? Of course that’s an impossible question to answer without getting more specific about who, about what sort of someone, that person walking those blocks might be. 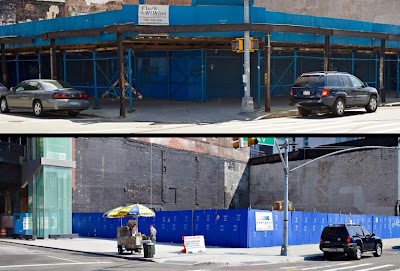 A quite elderly woman, a lifelong resident of the area, who remembers the excitement she felt as a young child watching the elevated highway and then the High Line go up, the one to the west, the other to the east of this part of Tenth Avenue? And who remembers when that section of the elevated highway collapsed in 1973? And who remembers when Manhattan was still a thriving seaport and the piers a hive of activity day and night? Or a gay man nearing sixty who remembers, ruefully or wistfully, some good times and even some harrowing ones in the piers a little further to the south on West Street, long since abandoned even in the 1970s? Or the woman in her forties who moved into the Westbeth complex for artists twenty-some years ago and remembers the failure of the Westway plans (which she opposed) and the beginnings of the reconstruction of West Street and the Hudson River Park and, what seems in retrospect to have happened so suddenly, the influx of all the galleries from SoHo to Chelsea, no more than a mile to north? Or the young couple in their early thirties who just moved into the renovated apartment building at the corner of West 12th Street, which they took with fond memories of having met in a bar in the newly hip scene centered around Washington Street a scant ten years ago? Or the couple from Omaha who just moved into the same building last year after they both contrived to get transfers to New York and whose knowledge of the city and its history is mostly their memories of watching the Ric Burns’ documentary not long after 9/11 and who don’t find it at all astonishing that their building — in this neighborhood! — has a uniformed doorman standing under the canopy over the sidewalk? Or the very young Mexican working as a dishwasher in one of the area's trendy new restaurants? Of course, some of the signs of change anyone might recognize, even a first time visitor. A vacant lot with a new plywood construction fence around it, newly painted blue and stuck all over with building permits and ads for the new “luxury” condos. A tower crane set up to the side of the street, or scaffolding in front of an older building. Freshly tuckpointed brickwork, new metal sash windows, and a new front door with just one doorbell in a midblock townhouse on Jane Street while its neighbors still have a slightly tatty look about them, with eight or ten separate doorbells screwed right onto the door frame over its peeling paint. But after even only a year, or less, a newcomer to the area, even from out of town, would notice that that restaurant on the corner has closed, that somebody is remodelling the storefront next door, that the “for rent” signs in the second floor windows are gone, that a high-end realtor has a "for sale" sign up again on that renovated townhouse on Jane Street already, that there seem to be more, or fewer, young couples pushing MacLaren double strollers down the sidewalk now than there were even last fall. How long does it take for a newcomer to become a New Yorker? Five years? Ten? Twenty? — Twenty seems like a good number to me, perhaps because that’s about how long I’ve been here myself (even though I was born here, I spent nearly 40 years away from the city). And twenty also, again with a “perhaps,” as being long enough to develop some intuitive sense of the way things change in Manhattan, and especially what the signs of change are — the ones that matter, that is. But let’s be generous and say ten years — what does such a person see, recognize, as “signs of change” after living here for ten years? For instance, walking north this time, starting at the corner of West Street and West 12th Street, my “zero” level “Tenth Avenue” corner in the preceding post: anyone will recognize the scaffolding on the southeast corner as a sign of change, if only of a building facelift or renovation, while anyone who has walked past the northeast corner with any frequency over the past few years surely couldn’t help noticing that the building on the corner has been torn down and that whatever is going to replace it hasn’t gone up yet. And a block north, at Jane Street, they might note with interest the appearance of the porta-potty on the southeast corner and wonder what that implies for the future of the parking lot there. They wouldn’t necessarily see the barrier posts as indicative of a time when the street still connected to West Street here (though they might make the inference). They surely wouldn’t miss the Riverview Hotel facelift on the northeast corner. Another block to the north they would have noted that the scaffolding came down on the building on the southeast corner, the facelift or renovation now complete, while the building on the northeast corner looks the same as ever. And again (though they might make the inference), they wouldn’t automatically read the barrier posts as a sign that the street once went through here too. They wouldn’t see any change on either corner at Gansevoort Street, though anyone would recognize the construction visible down the block towards Washington Street and Greenwich Street as a sign of change, though of what significance might not be obvious. And it would be impossible to miss the new building, taller than most in the area, that is visible to north, up on West 13th Street. They might note that the Gansevoort Meat Center on the southeast corner of Little West 12th Street has been cleaned up some, along with the High Line behind it too. And they’d surely notice that the building long under construction — well, it seemed long — on the south side of West 13th Street is finished, even if the rather derelict building on the northeast corner is about the same as always — yes, the overhead conveyor structure was dismantled, in part, a while ago, but that’s about as far as that one's progressed. If they were very observant, they might notice some new traffic signs here and there as well (a first time visitor of course wouldn't notice these either). But not much else — mostly because there isn’t much else to notice: in this area, this part of Tenth Avenue, one doesn’t see the more finely grained, relatively ephemeral signs of change — new signage, awnings, paint jobs, portable street furniture — that are so densely visible, say, a couple of miles to north, in the forties. Possibly, probably even, this is because Tenth Avenue down here isn’t a residential street, nor even, really a commercial street, at least not retail commercial. Which means that whatever changes are taking place, they’re relatively large scale, and only large scale. Which leads me to a sort of obvious conjecture: small scale changes are apparent at street level in the city only where residential and retail pedestrian traffic is relatively dense — conversely, when small scale signs of change begin to appear for the first time (or for the first time in a long while), it’s an indication that the area is changing in the direction of increasing residential and retail density. Is this always a move upscale? If such small scale signs of change begin to disappear, does this mean the neighborhood is going downhill? And what about the appearance (or disappearance) of hot dog vendors? Surely that tells us something about what’s happening in a neighborhood. One last remark: the above recitation of changes is very nearly the same as the one in yesterday’s post — is that because I fit, if not the ten year, then the twenty profile I sketched out above? Or is it more objective, at least in the sense of more intersubjective, shared, than that? Might have to go out and actually ask people about that in order to get an answer. Something to think about as we go on up Tenth Avenue, starting at Fourteenth Street. After all that heavy lifting on the foot of Tenth Avenue yesterday — yes, I admit it, I got carried away by my love of maps — let's take a look at something simpler: delis. Or is this any simpler? One of the hazards of taking any closer look at almost anything in the city is that everything is so richly connected to so many other things in so many different ways as to make a mockery of the idea of "simple" or even "simpler." Take, for instance, delis, not in the original, literal sense, from the German, delikatessen, "delicate food," "delicacies," but rather in the more contemporary sense of a small grocery store, often, though not always, on a corner, and often, but also not always, with some facilities to provide hot and cold take out, however limited the menu may be. The first one of these you encounter walking up Tenth Avenue is on the southwest corner of 28th Street — this surely says something about how little the stretch of the avenue up to there has been residential or even commercial (as opposed to industrial) for many decades now. The last deli before 110th Street is just above the northwest corner of 109th Street. In between there are another 34 delis, for a grand total of 36 on Tenth Avenue up to 110th Street. Or a bit over two per block above 28th Street. 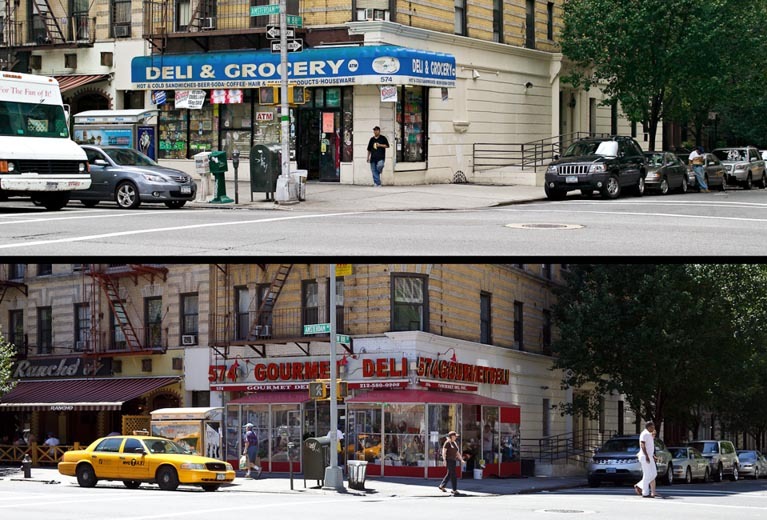 Of these 36 deli enterprises, 16, or 44% were either new to the location (just a couple) or showed some combination of new awnings or new signage, usually with a new name for the business, 2010 vs. 2006. 44%! Nearly half, in fact! The first question is this: do the new awnings, new signage, new names indicate new ownership, or at least new management? Meaning, per the numbers, that delis change hands on average once every seven years? Or are the visible changes just the result of the same owners or managers dressing up the business to keep pace with other changes, especially, no doubt, demographic changes, in their immediate locale? In which case, the question is whether the rate of neighborhood change is such as to motivate such changes every seven years? 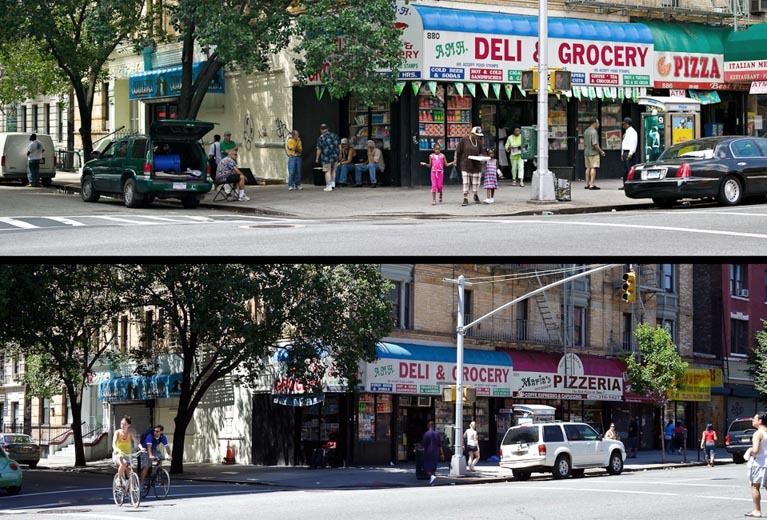 In short, do changing deli facades, awnings, names, signage give us a kind of neighborhood-intrinsic "clock" against which to measure relative rates of change in the characters of neighborhoods? These are not questions to be answered by looking at pictures, or if they are, I don't know how to read the answers from the pictures. Would it be worth going back and asking?